Along with PST files to MSG, the software converts PST Files in more than six file formats. At first screen of software, click on create a new collection. Software asks you to give details such as Title, Collection etc. Click on Scan file button to select PST file format. Browse file from local storage. 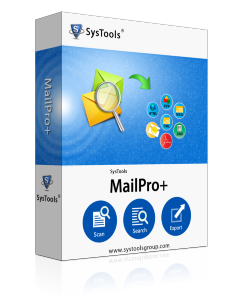 Software scans & load file with email count. Click on view to preview it. By the way, software provides multiple preview modes for extra ease to user. Choose files or folder to export. For bulk export option you can use export given in menu bar. Select MSG file as destination format. Browse location to save files and click ok. Being the technical manager of an IT firm, I have more responsibility and an extra curriculum work to perform. I have to lead the different team and guide them to accomplished their task effectively. But from last 4-5 weeks, the productivity declined. The team reported me the problem that they have faced some issues in getting access to their emails. They do not instantly log on to email. For accessing their email they have to reinstall the email software and after few minutes it automatically shuts down with the same error. The inbuilt utility failed to recognize the error. I have decided to go for another email client with my 50 GB of data in the limited amount of time. Can I able to convert bulk pst files to msg? Is the corrupt pst file supported by software? What is the pst file limitation for software? Can I recover deleted email files also? Is MS Outlook Necessary for the conversion process? Is the metadata sustains by software? Can I convert the PST file with ANSI format? How many PST files can I convert using the tool? Can I select and convert the emails sent from a particular person? Yes you can choose the advanced filter option to filter out the emails from a particular sender. Also, you can export pst to msg these selected file separately. Can I add multiple PST files using the converter software? Yes, The tool provides option to browse and add multiple PST and even the folder itself. I'm extremely thankful to you for the excellent solution provided by your team in the flied of data conversion. The PST to MSG converter helped me to convert my PST emails to MSG formats. It carried out the entire process within seconds. Thank you for the workguys. I tried the applicationfor converting PST to MSG and completely satisfied with the working of the PST To MSG Converter tool. The prominent feature that I liked is the custom naming option and filters equipped with the tool. This helped me in selectively exporting of emails from bulk and to identify the files by name. Brilliant work, team! . Email Transition to one email client to other is not hidden issues that every one is suffering from. PST file is the default file format created by Microsft Outlook . It contains the emails, calendars, notes and tasks etc. Having enormous number of crucial features , it have certain issues as well such as pst is not the personal storage file, pst file gets corrupted and you can have access to your important mails. So with the help of PST to MSG Conversion software, you can easily convert pst to msg . The resultant msg file can be viewd in outlook also..